The DSX ( D ining Height S ide Chair X -Base) with its simple tubular steel frame is a restrained variant of the successful Charles and Ray Eames model. As early as 1948, the two designers presented their now world-famous chair at the 'Low Cost Furniture Design' competition and their model won the 2. Prize. 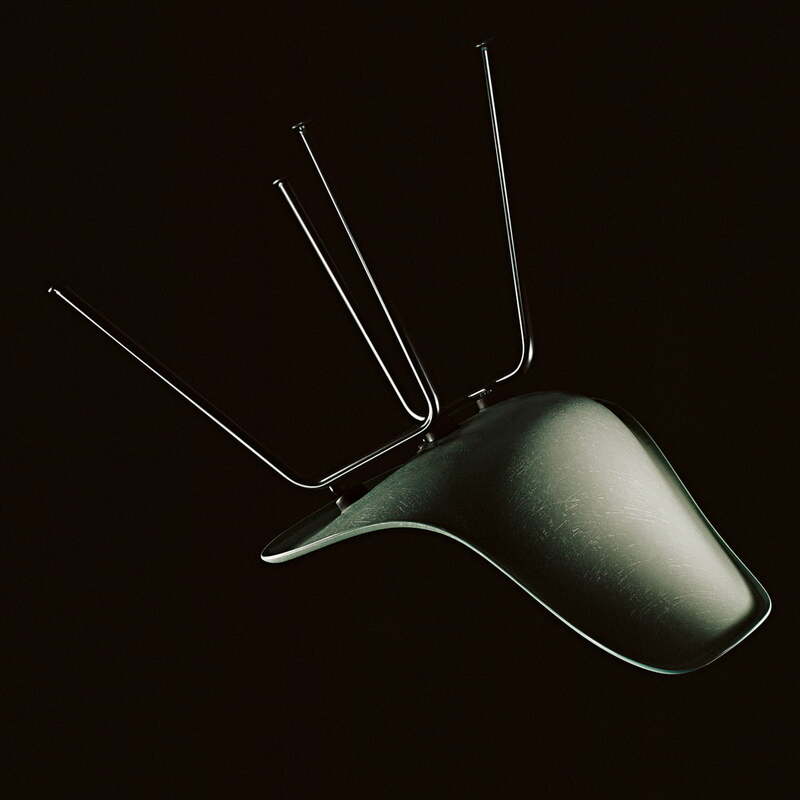 A little later, the chair went into production with a polyester resin seat shell reinforced with fiberglass fibers. The organic shape of the chair was unique at the time and quickly became a successful piece of furniture. The seat shell is ergonomically shaped so that it adapts perfectly to the body, and the shell is connected to the metal base via integrated "shock mounts" so that comfortable sitting - even over long periods of time - is guaranteed. After the chair had been on the market for many years in its original form, the production of the fibreglass shell was discontinued at the beginning of the 1990s for environmentally friendly reasons and instead made of polypropylene. Now, with improved manufacturing techniques, the chair returns to its origins and is again made by Vitra with fiberglass fibers in some of the original colors. The DSX can be arranged in the private area at the dining table, desk or individually in the corridor, but also finds its place in restaurants and hotels. 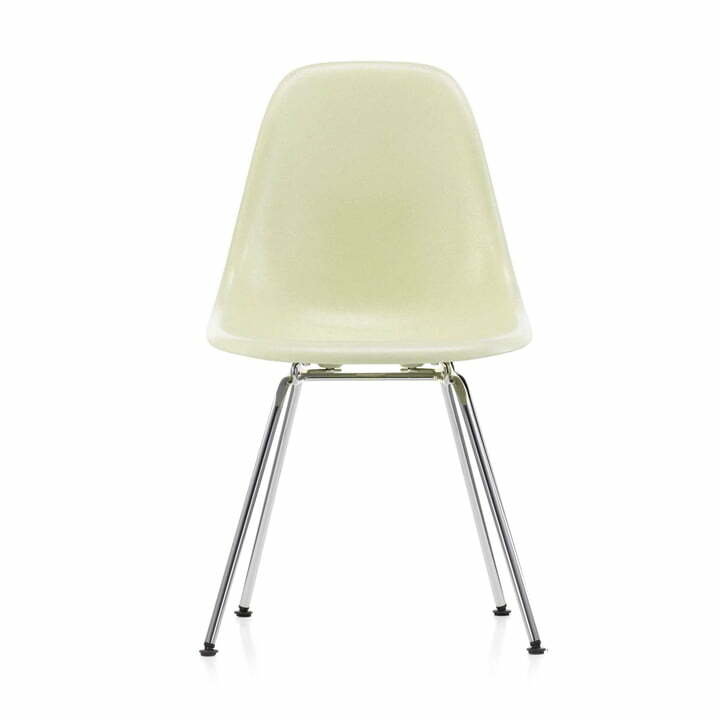 The Eames Fiberglass Chairs DSX from Vitra with a four-legged steel frame in chrome and a seat shell in the original Eames color parchment (felt glider basic dark). Eames Fiberglass Chairs DSX by Vitra in the ambience view. 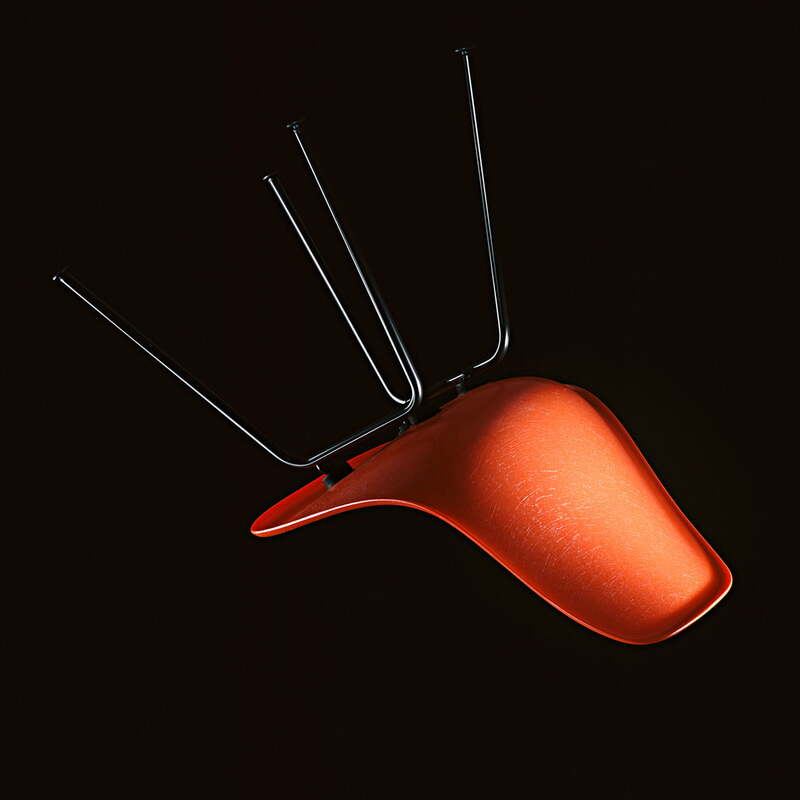 While the seat shell is reinforced with fibreglass, the simple, timeless frame is made of steel. Eames Fiberglass Chairs DSX by Vitra in the ambience view. The comfort was as convincing then as it is now: on the one hand, the seat shell is ergonomically shaped so that it adapts perfectly to the body, and on the other hand, the shell is connected to the metal base via integrated "shock mounts" to ensure a comfortable sitting position - even over long periods of time. Eames Fiberglass Chairs DSX by Vitra in ambient view. The Vitra - DSX, with its simple tubular steel frame, is a restrained variant of the successful Charles and Ray Eames model. In a new edition, the chair is now again made of fibreglass reinforced polyester resin.